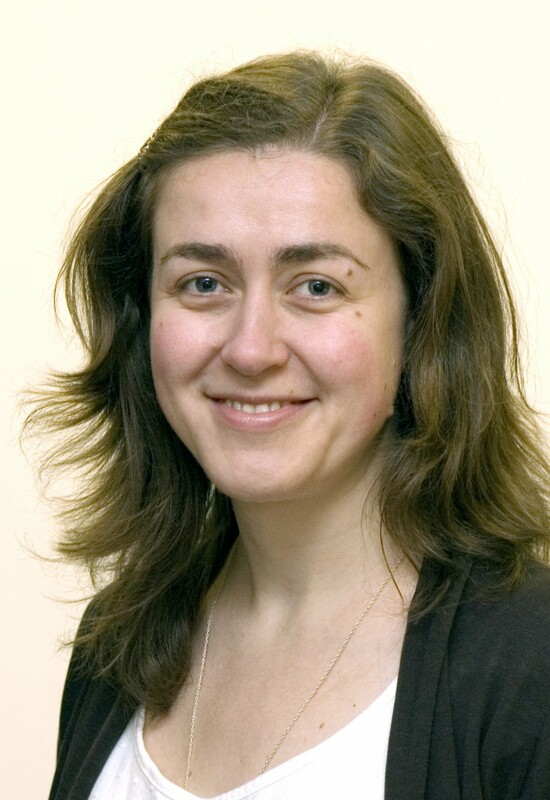 Dr Marina Kuimova (Imperial College London) was a recipient of the 2013 ChemComm Emerging Investigator Lectureship. Our annual lectureship recognises an emerging scientist in the early stages of their independent academic career. Professor Louise Berben (University of California Davis, USA) was the other recipient of the lectureship last year and we have just announced the 2014 winners – look out for further details of their lectureship tours soon. 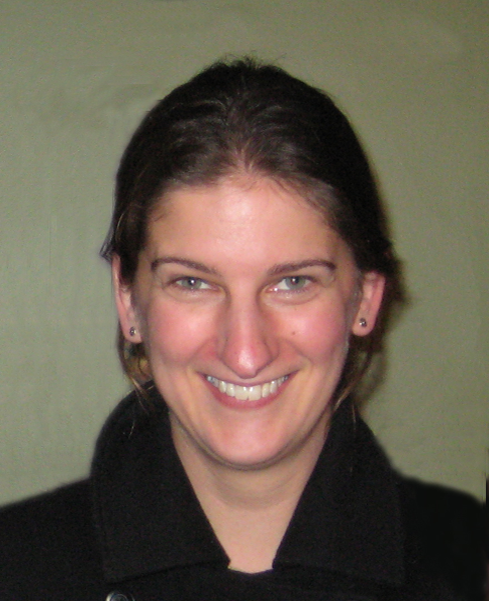 Professor Louise A. Berben (University of California Davis, USA) was one of the recipients of the 2013 ChemComm Emerging Investigator Lectureships. 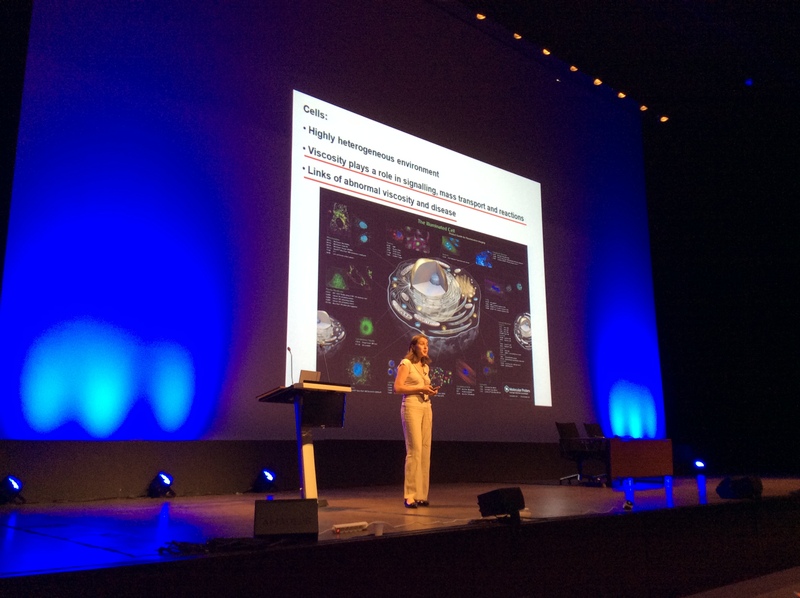 Louise has just completed her lectureship tour which took her to Imperial College London and the University of Bristol in the UK; she concluded her tour by giving a plenary lecture at Challenges in Inorganic and Materials Chemistry (ISACS13), in Dublin, Ireland. Congratulations Louise! We are delighted to announce the forthcoming 2015 ChemComm Emerging Investigators issue. This special issue, now in its fifth year, will showcase the high quality research being carried out by international researchers in the early stages of their independent careers. If you are interested in submitting to the issue please contact the ChemComm Editorial Office in the first instance. Please note that authors must not have featured in a previous ChemComm Emerging Investigators issue. The deadline for submission is 31 October 2014. This annual issue is dedicated to profiling the very best research from scientists in the early stages of their independent careers from across the chemical sciences. We hope to feature principal investigators whose work has the potential to influence future directions in science or result in new and exciting developments. Find out more about the ChemComm Emerging Investigator Lectureship – awarded annually to exceptional scientists in the early-stage of their independent career. We are pleased to announce the locations of this summer’s ChemComm Emerging Investigator Lectureships tours. They will take place at conferences and universities across Europe, where our winners will showcase their latest research. On behalf of the ChemComm Editorial Board we are delighted to announce the winners of the ChemComm Emerging Investigator Lectureship 2014. 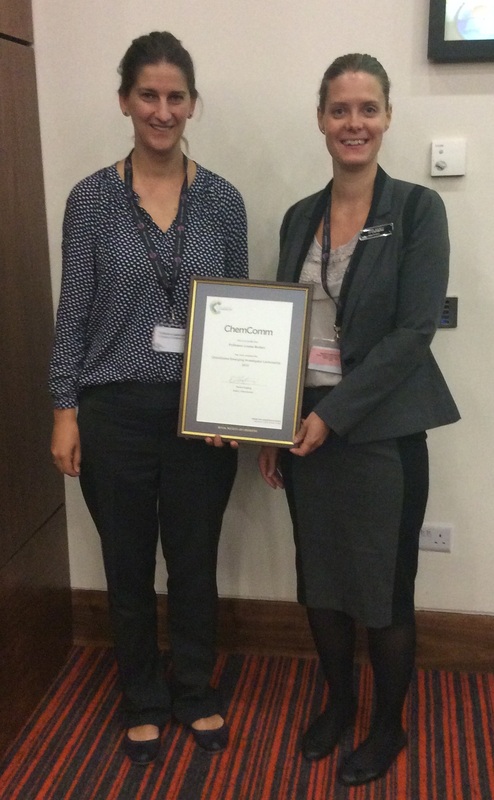 To mark the 50th volume of ChemComm we have awarded three Lectureships this year. The 2014 winners are: Xinliang Feng, Max-Planck-Institute for Polymer Research (advanced organic materials), Tomislav Friščić, McGill University (organic chemistry) and Simon M. Humphrey, University of Texas (inorganic chemistry). Congratulations to the winners! This annual lectureship recognises an emerging scientist in the early stages of their independent academic career. Further details of the Lectureship tours, including lecture locations, will be announced in due course. For information on previous winners see our website. Also of interest: You can now read the 2014 Emerging Investigators Issue – which highlights research from outstanding up-and-coming scientists. There are a mix of Feature Articles and Communications, as well as an Editorial showcasing the authors – which includes some fun photos… look out for a giant pumpkin and R2D2! 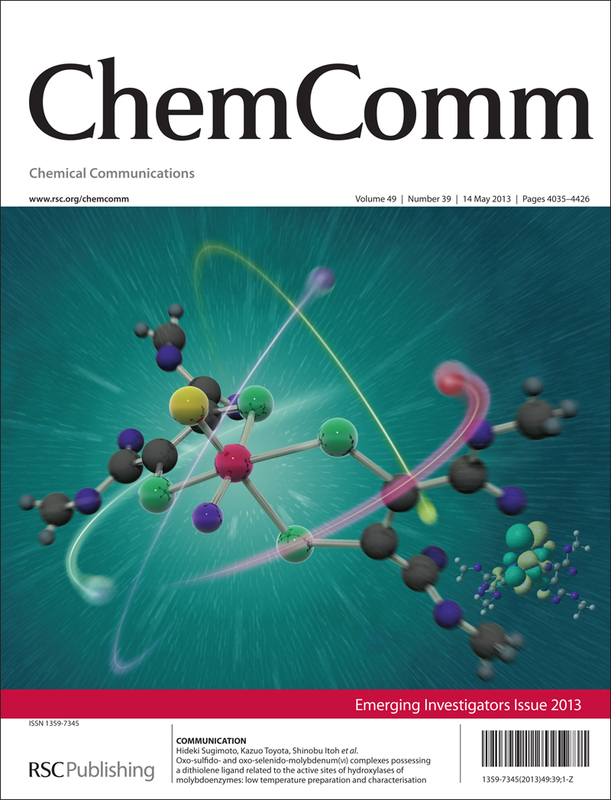 We are delighted to announce the publication of the 2014 ChemComm Emerging Investigators issue. Now in its fourth year, we have been overwhelmed by the community’s positive response to this issue. It showcases up-and-coming scientists who are internationally recognised for making outstanding contributions to their respective fields. There are a mix of Feature Articles and Communications, as well as an Editorial showcasing the authors – which includes some fun photos… look out for a giant pumpkin and R2D2! You can also take a look at our previous issues in 2011, 2012 and 2013. View the whole Emerging Investigators collection today. We invite you to submit your next communication article to ChemComm. The University of Bath will host Spring 2014 Royal Society of Chemistry Carbohydrate Group Meeting from Wednesday 30 April – Thursday 1 May. On Wednesday evening, the 2014 RSC Haworth Memorial Lecture will be delivered by David Crich, Schaap Professor of Organic Chemistry at Wayne State University, Detroit, USA. The Meeting will also include the Inaugural Buchanan Award Lecture in honour of J Grant Buchanan, a former Visiting Professorial Fellow in the Department of Chemistry here at Bath, who died two years ago on 17 April 2012, at the age of 85. Grant was a great researcher and educator, and is remembered fondly for his infectious enthusiasm, collegiality and warm humanity. The full programme of speakers for the Meeting is available online. Local delegates are free to attend the lectures and are also encouraged to submit posters. We want to say a huge thank you to everyone who completed our recent survey to give us their feedback on ChemComm. We are delighted that we received over 1900 responses and we have now started to collate and analyze the results. So watch out for further updates and to see how your comments will help shape the future of this prestigious journal. As the survey has now closed, so has our competition to win 5 of the latest Kindle Fires. The five lucky winners have now been notified and their prizes will soon be winging their way to them – one as far as Australia! Don’t forget you can now download your favourite ChemComm articles directly to your Kindle – look out for the symbol on our website. Anyone wishing to see a list of prize winners should contact us at chemcomm-rsc@rsc.org. 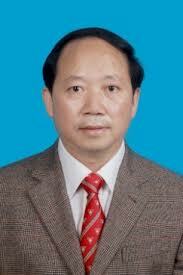 Professor Yong-Qiang Tu (Lanzhou University, China) handles submissions to Chemical Communications (ChemComm) in organic chemistry. Yong-Qiang’s research interests centre on tandem rearrangement reactions and their application to the total syntheses of bioactive alkaloids, synthetic studies of biologically active natural products, and the construction of C-C and C-N bonds via C-H functionalisations. We invite you to submit your urgent research to his editorial office. Read Yong-Qiang’s Editor’s Choice selection of ChemComm articles by clicking on the links below – all articles are FREE for a limited period! ChemComm is the home of urgent high quality communications from across the chemical sciences. With a world-renowned reputation for quality and fast times to publication (average of 40 days), ChemComm is the ideal place to publish your research. We would like to celebrate with our authors and the community our web themed collection entitled “Metal-organic frameworks” recently published in ChemComm. We encourage you to share the link to this collection with your colleagues.